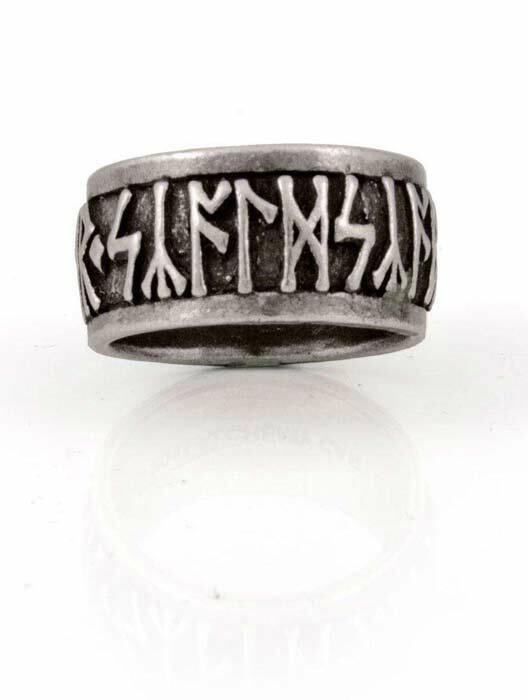 A beautifully crafted Nordic runes ring that recite the mantra, Poetry is in Battle. Polished pewter with antiqued inlay. Measures approximately 0.98 inches wide, 1.02 inches high and 0.47 inches deep. By Gothic Alchemy. Fits as expected. Love the design! Would order again! Our son has always soulfully had a connection with our ancestry and heritage. Swedish and Norwegian. He talks sometimes like he is having a memory. Very old soul. 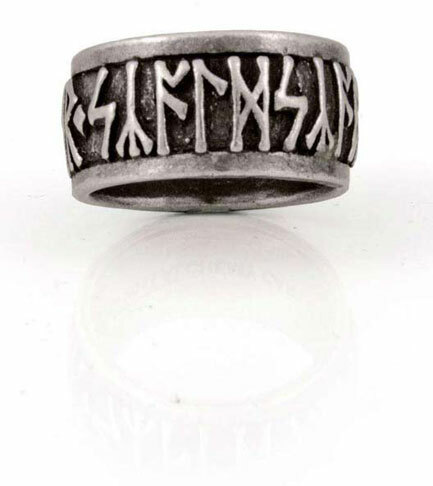 He writes the Runes and knows the meanings. We knew he would love this and he does. Awesome! Thank you! It's not easy to buy anything for a 13 year old with total confidence.